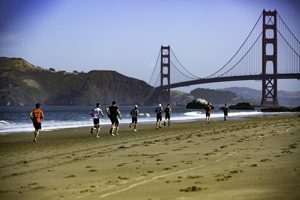 San Francisco, California – June 3, 2018: Racers run along Baker Beach with the Golden Gate Bridge in the background at the 2018 Escape From Alcatraz Triathlon. 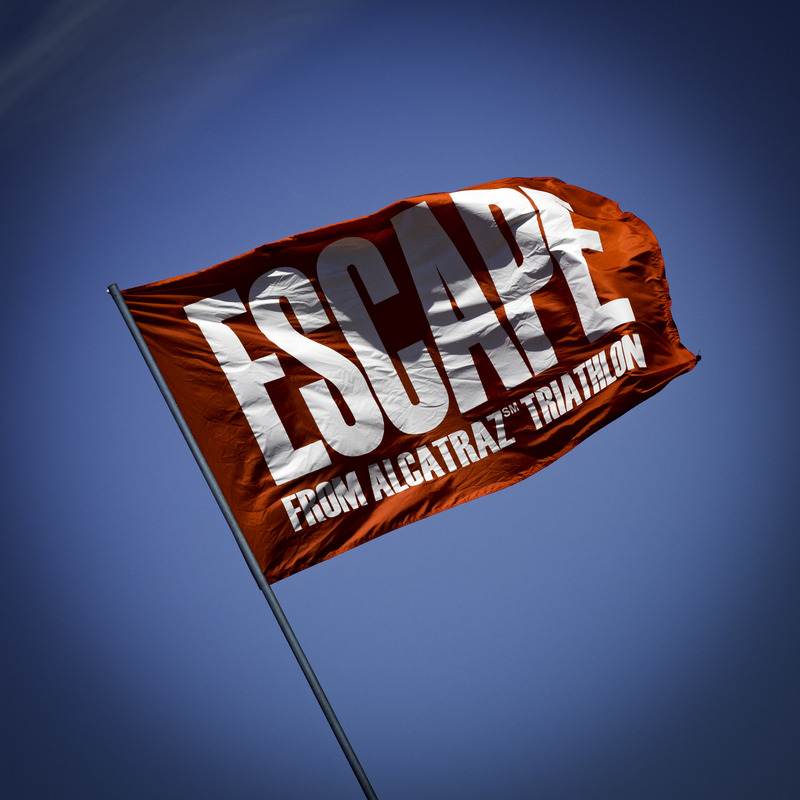 San Francisco, California – June 3, 2018: On a picture-perfect morning, around 2,000 triathletes assembled for this year’s Escape From Alcatraz Triathlon featuring a 1.5-mile swim in the rough waters near Alcatraz Island, an 18-mile bike filled with ups and downs through the Presidio, and an 8-mile run that includes the infamous climb up the Baker Beach sand stairs. 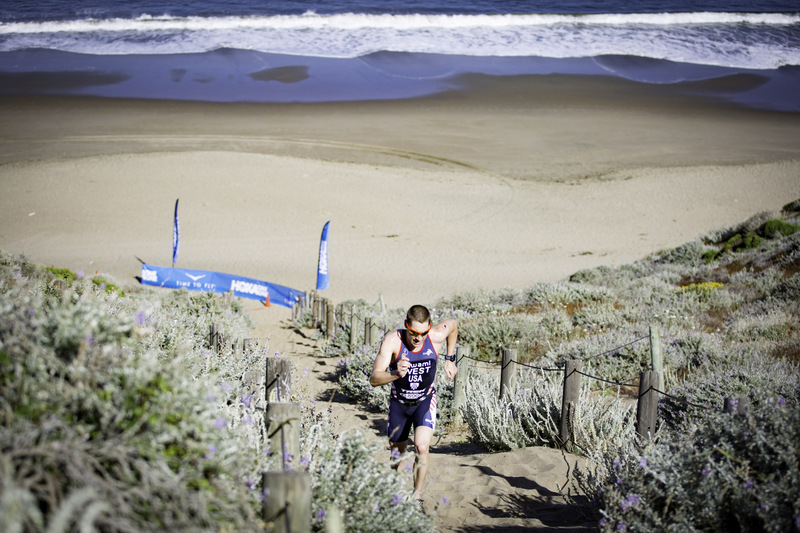 In the men’s race, Olympian Ben Kanute led from start to finish with Cameron Dye close on his hills. 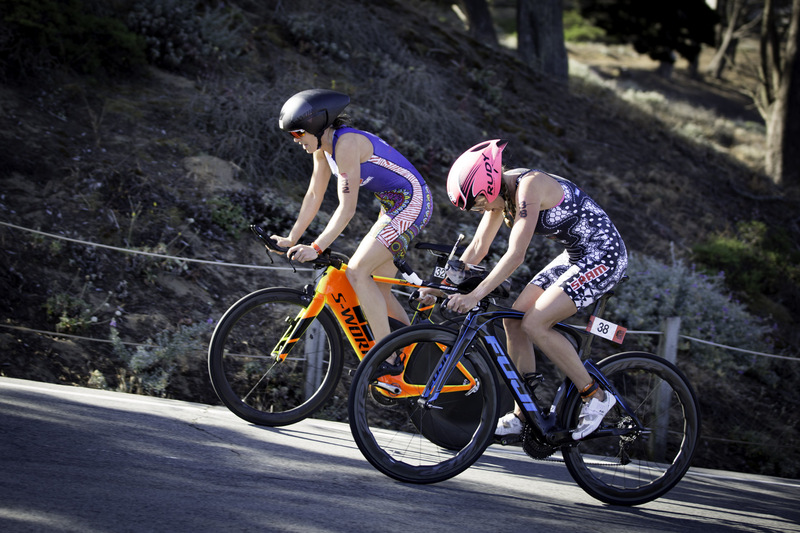 In the end, a mere seven seconds separated the two at the finish line. 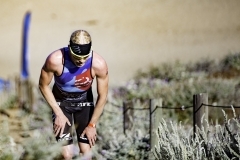 Kanute finished in 2 hours 49 seconds and Dye stopped the clock in 2:00:56. 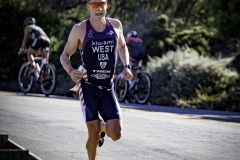 Jason West took third in 2:01:55, Andy Potts fourth in 2:04:46, and Jarrod Shoemaker fifth in 2:05:32. 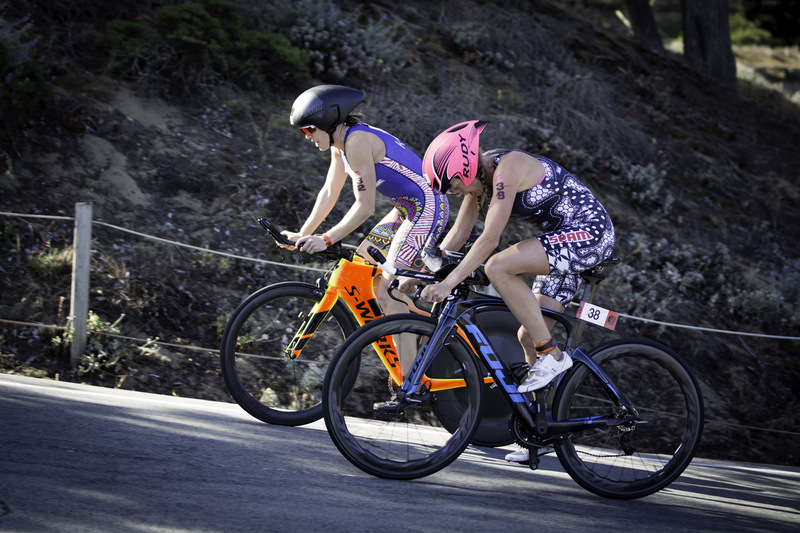 In the women’s race, Sarah Haskins dueled with Alicia Kaye to take the win. 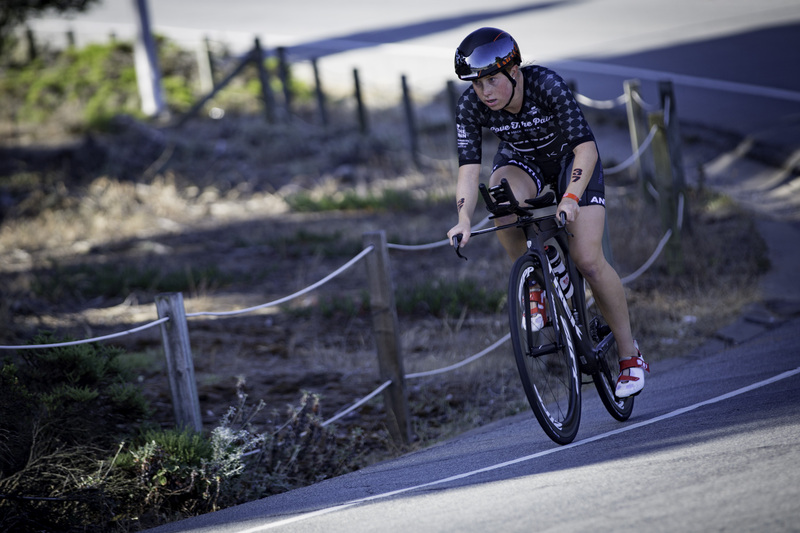 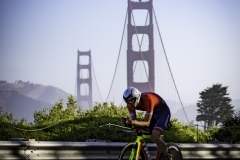 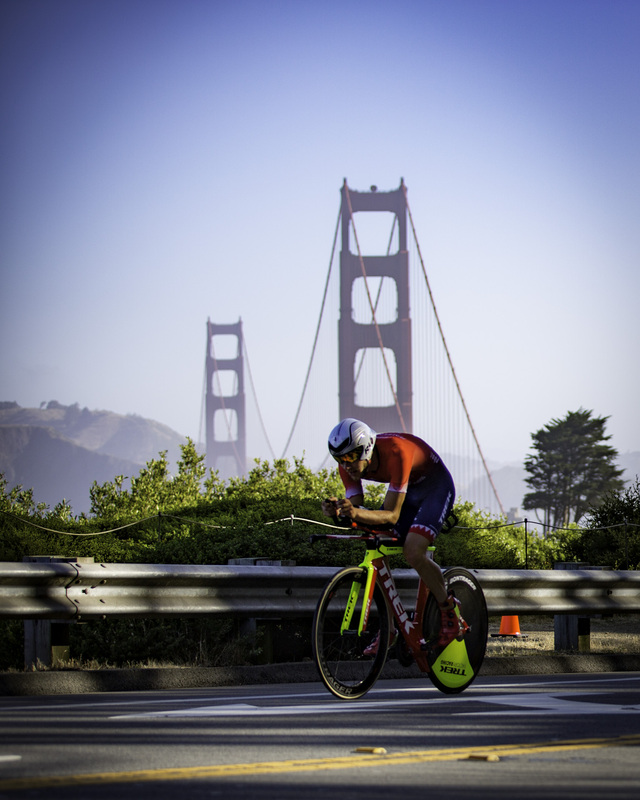 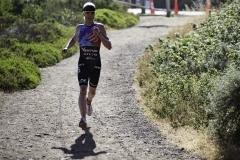 Haskins overcame a one-minute penalty for failing to completely cross the transition zone line before mounting her bike and had to chase down Kaye on the hilly bike course through the Presidio. 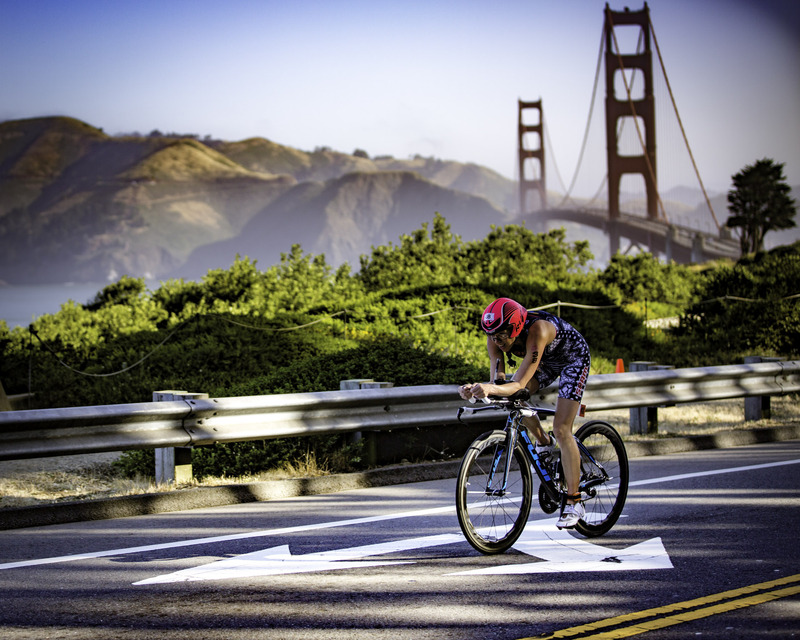 Haskins made the pass as the two headed back toward the Golden Gate Bridge but Kaye kept her in sight during the run. 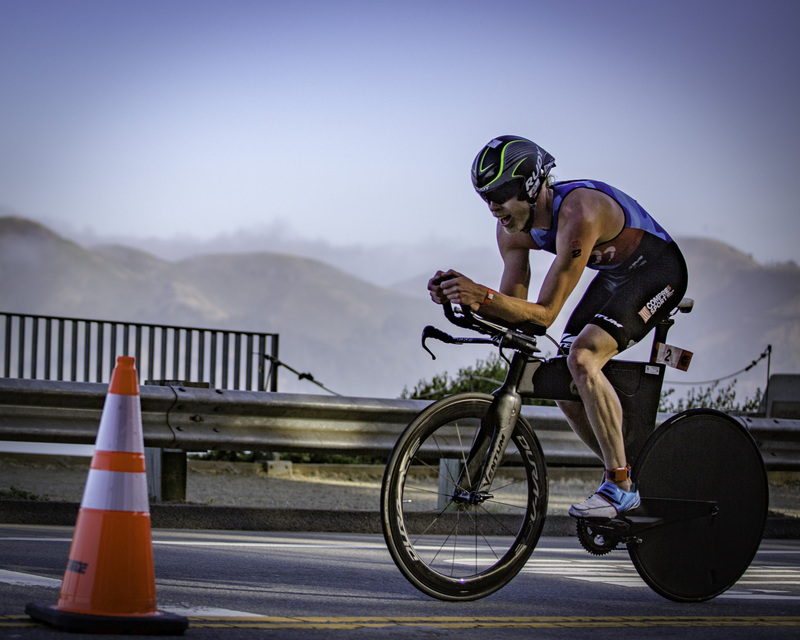 Haskins posted a winning time of 2:15:46. 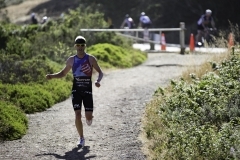 Kaye finished just 15 seconds later in 2:16:01. 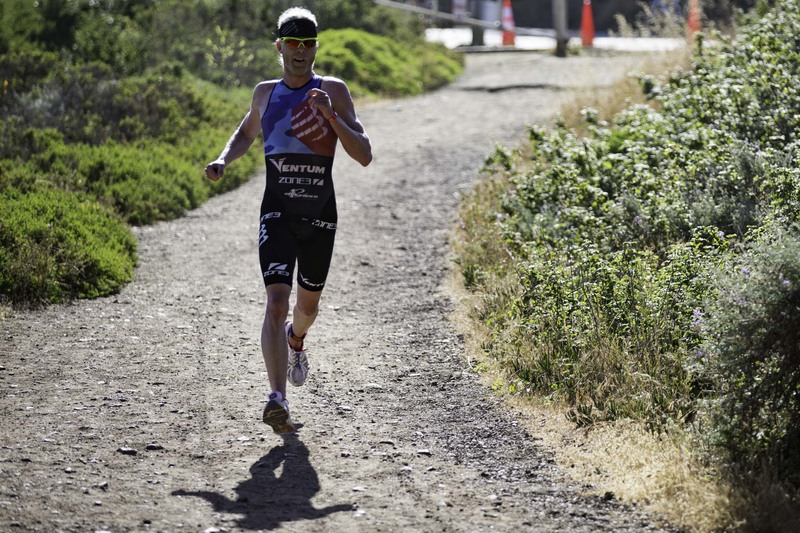 Lauren Goss rounded out the top-three in 2:20:05. 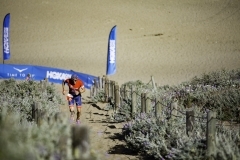 Paula Findlay claimed fourth in 2:24:15 and Robin Pomeroy fifth in 2:28:05. 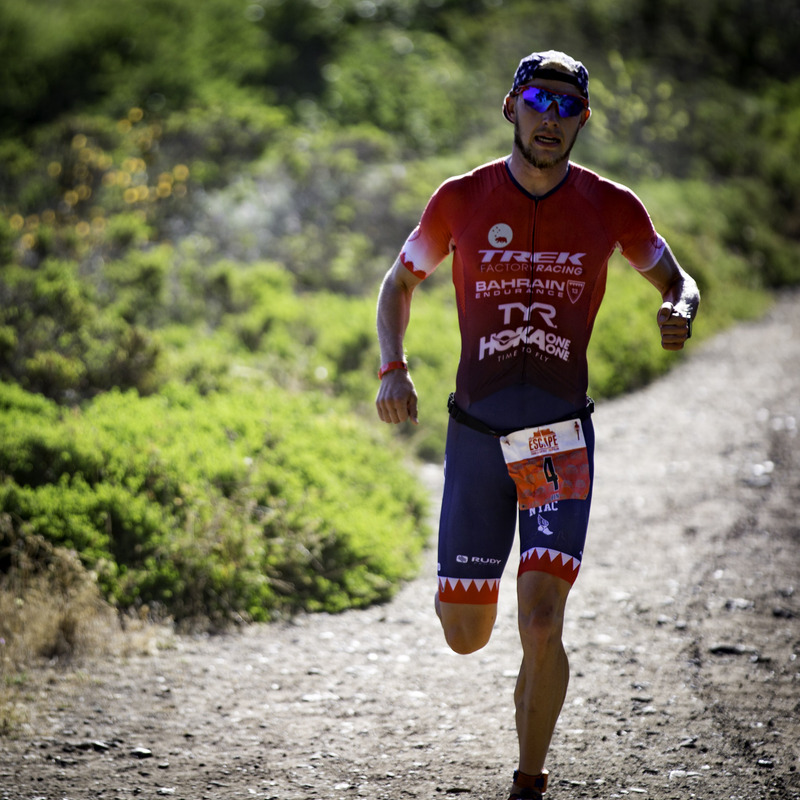 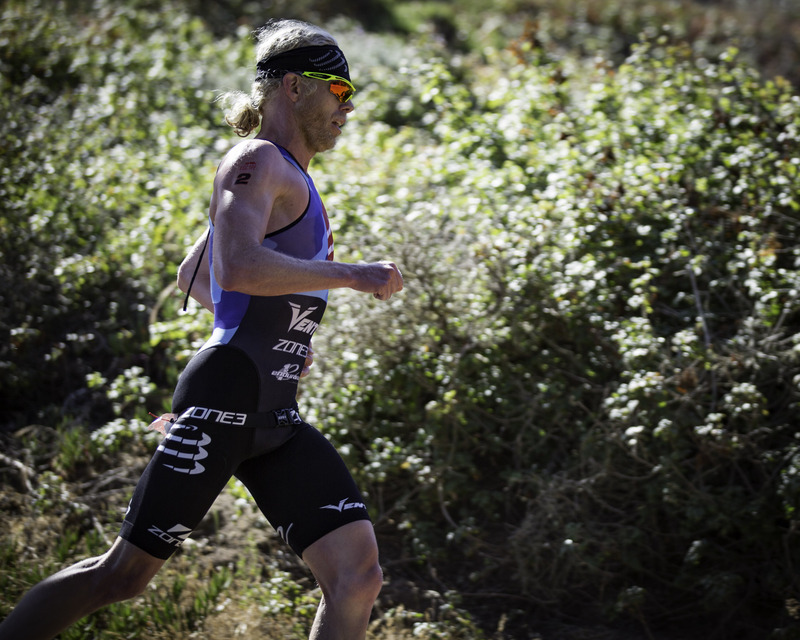 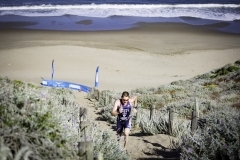 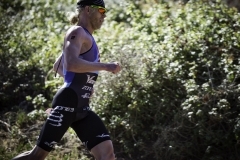 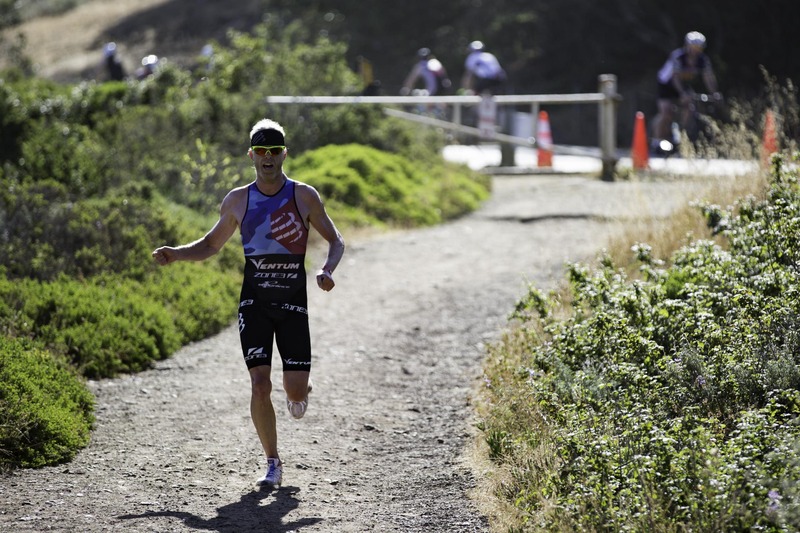 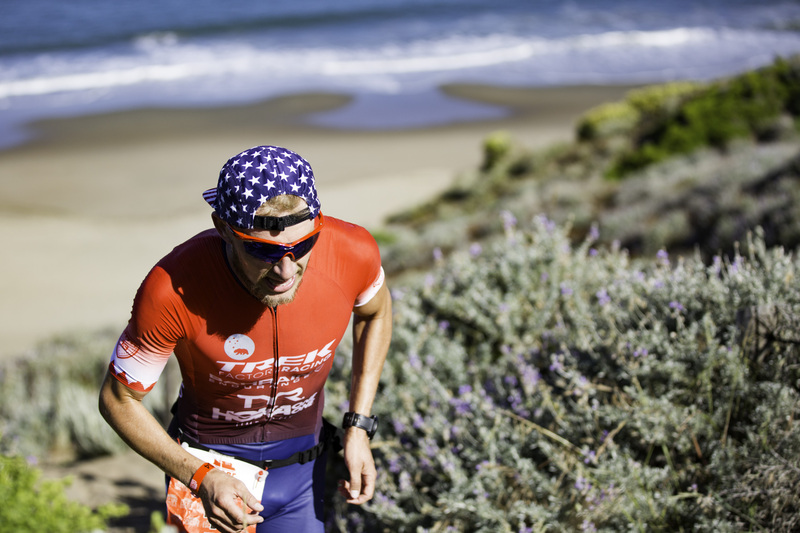 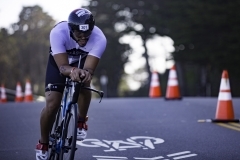 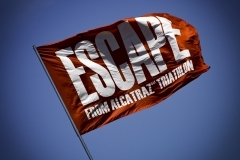 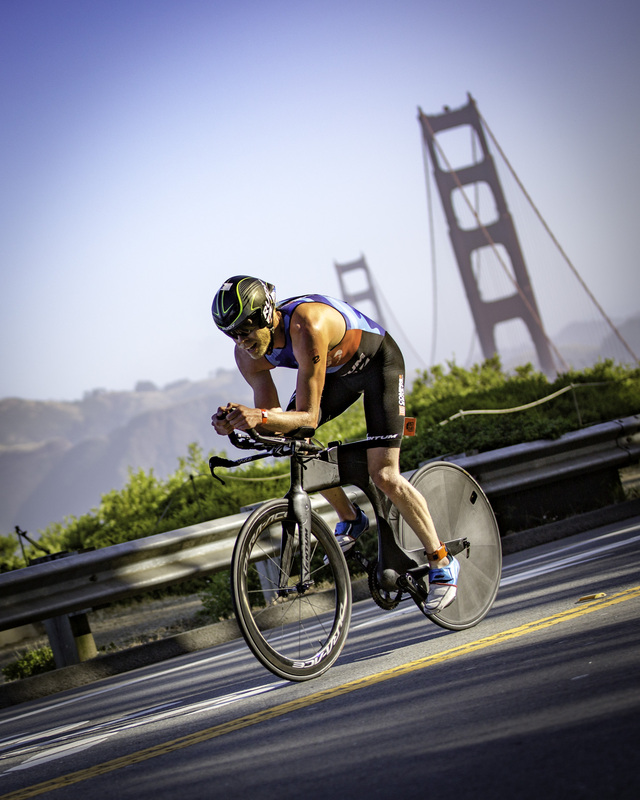 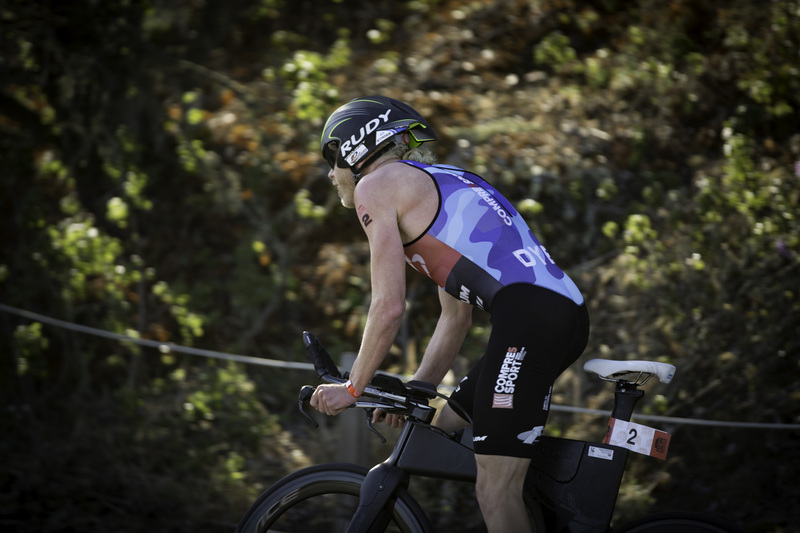 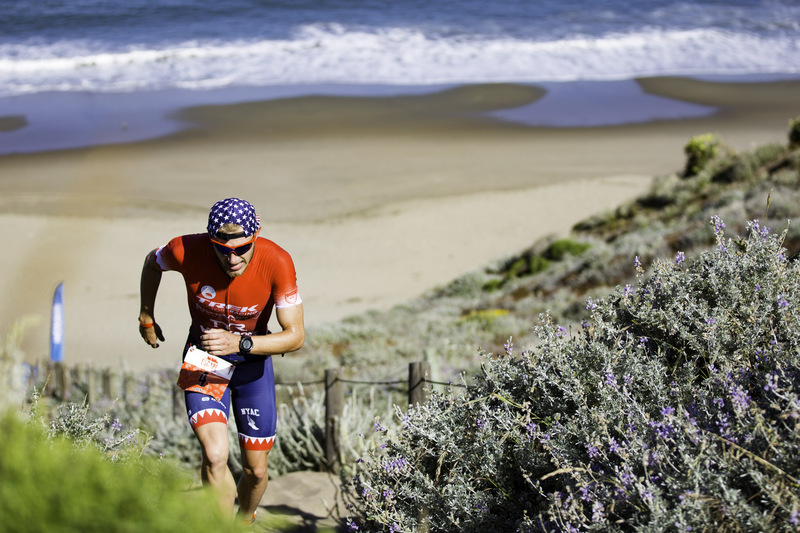 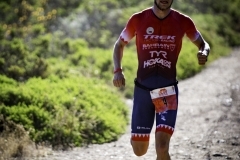 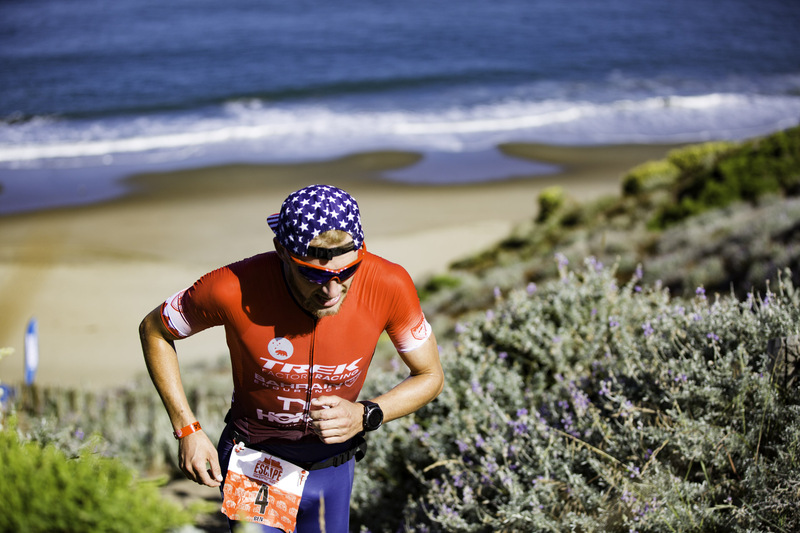 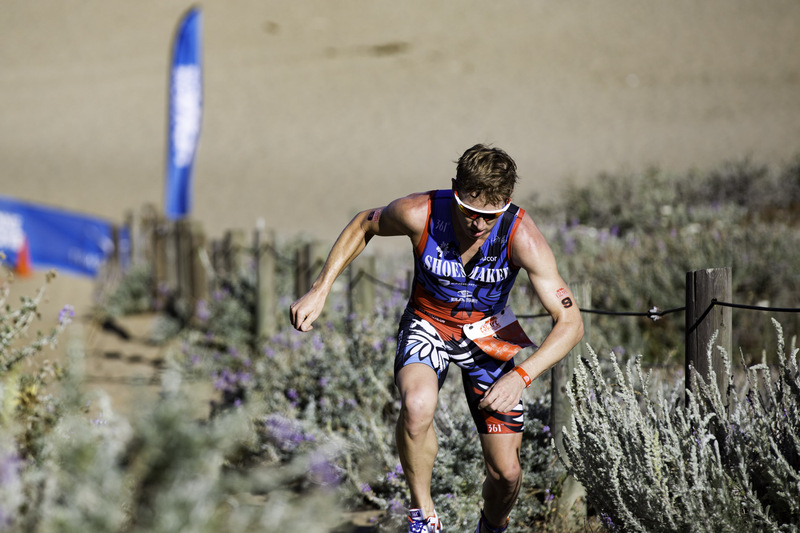 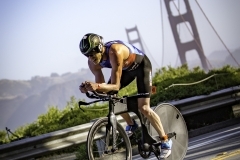 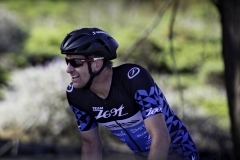 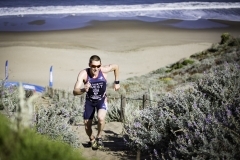 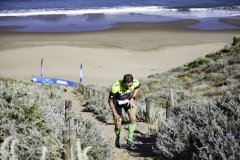 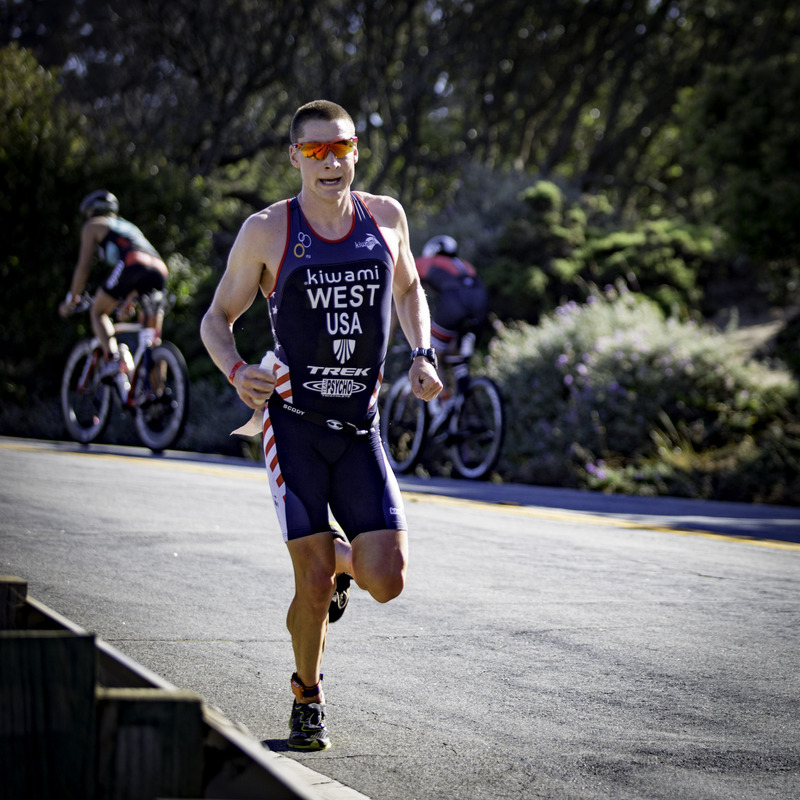 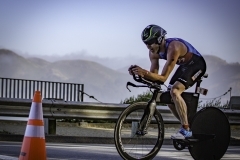 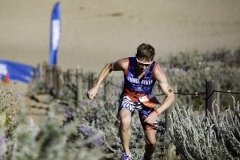 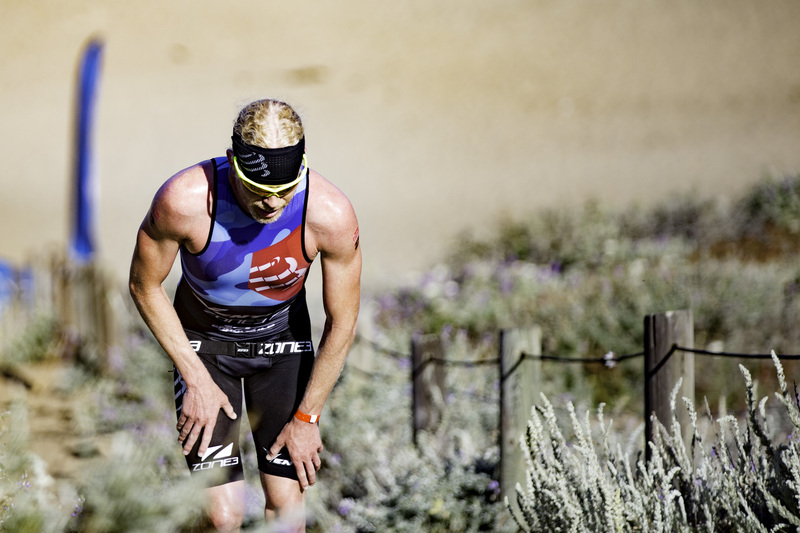 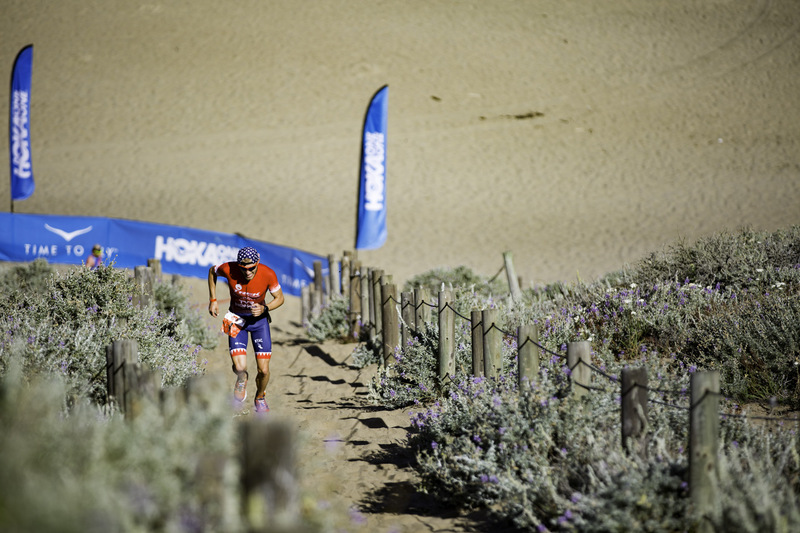 This entry was posted in Photos, Sports and tagged Baker Beach, California, cycling, Escape From Alcatraz, running, San Francisco, triathlon.